Choose from any of our Museum Classes or our Portable Planetarium to make learning come alive for children and adults in a variety of settings from schools, libraries, camps, scout meetings to community centers. Led by museum educators, all programs use hands on demos to promote the museum’s philosophy of inspiring and educating while entertaining. Outreach programs for schools are age appropriate and designed to address NYS Learning Standards. To find out more, book a program, or even create customized activities call 516-572-4029. Digitalis Digitarium - Portable Inflatable Planetarium! 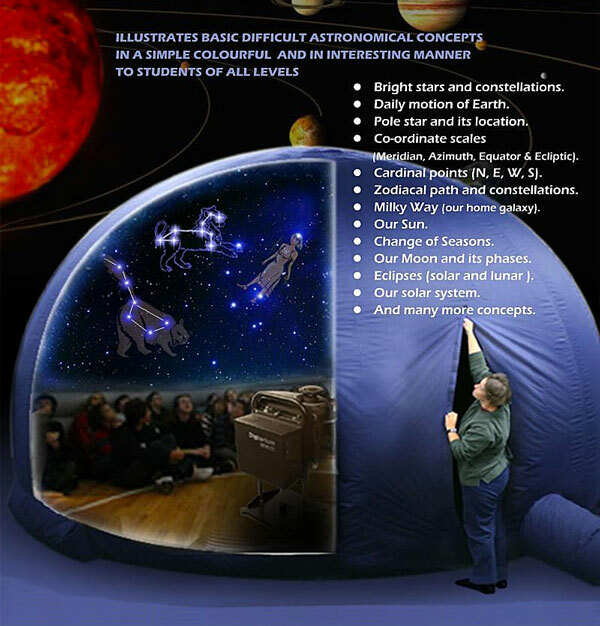 Digitalis is a portable, inflatable planetarium dome that can accommodate up to 30 students per class session. Once inside the dome, discover the majesty of the stars and our universe with its digital technology designed to showcase bright, clear images. The Digitalis dome has a stand-up entrance permitting easy entry for students and teachers, offers interactive learning opportunities and is best suited for your gym or auditorium. Please call for outreach pricing in Suffolk, Queens and Brooklyn counties.